Easily print CD and DVD covers. It supports JPEG, GIF, PNG and BMP formats and can automatically scale front covers, back covers, front + inside, inlays, to the correct sizes. 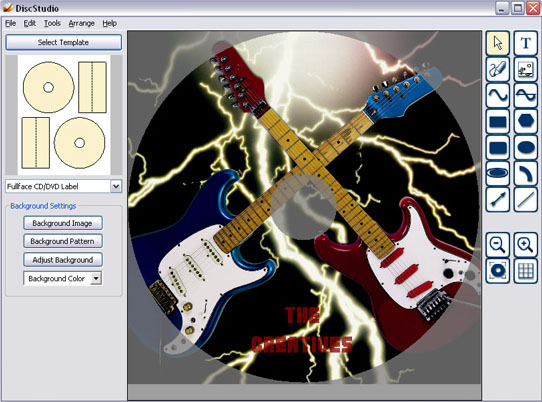 DVD Cover Plus is a freeware tool that can be used to design and print your own DVD and CD covers. One of the big advantages of this program is that it has many options and possibilities but it still is very easy to use. You dont have to be a computergenius to use it. 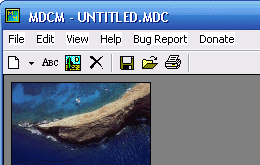 You dont need to edit any images in a photeditor before importing them to the program, you can edit the pictures in DVD cover plus. The goal of DVD cover plus is that the user doesnt have to do much. There are a lot of predefined templates to use in this program that can save you a lot of time. This software allows users to create their own custom designs for do-it-yourself printing. DiscStudio provides a wide variety of layout and design options in a simple yet intuitive program. Use it to create more than two dozen different types of printable creations including full size CD Labels, miniature disc labels, business card CD labels, CD jewel case inserts, DVD case inserts, and more. This fully-functional software application brings CD and DVD cover and disc design right to your desktop! A library of over 1,000 great stock background and clip art images are included to get you started.